A most interesting trend has been sweeping the nation since the start of the year. 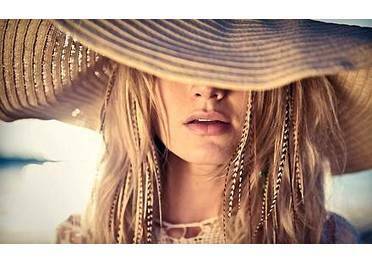 Thanks to celebrities like Ke$ha and Miley Cyrus, feathers are fluttering into young women's hair as part of a hot new accessory trend. 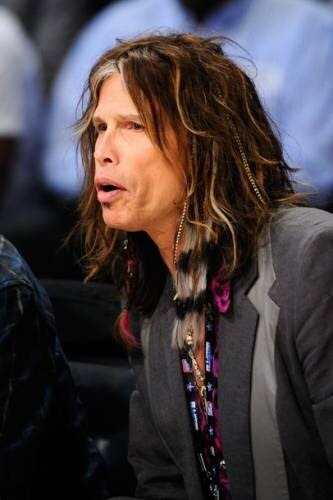 Colorful and earth-toned bird feathers are woven into hair to create a hippy-meets-Native-American-meets-funky-rocker look. Just how rooster feathers became such a rage is a bit hard to explain. It could be coming from the 'exotic' tribal trend. It could be inspired by Native American traditional headdresses. It could also be influenced by Steven Tyler, who sits on this year's "American Idol" judges panel and dons feathers daily. Whatever the source, the trend has taken off across the nation. Many of the feathers are being supplied by an unlikely source for fashion: Fishing bait shops. 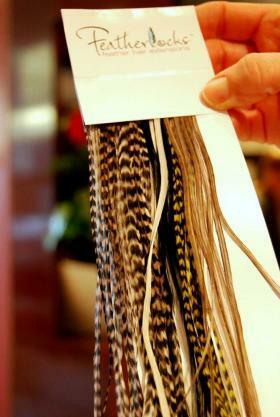 Long rooster feathers used by fly fishermen to bait salmon or trout are ideal for weaving into hair. "It just became a wild thing," said Mark Dingler, who owns The Angler's Choice Tackle Shop fishing store in Capitola. "It's a great way to sell feathers. I'm getting phone calls from all over California and other states." The trend has grown so fast that fishing shops are having a tough time keeping their best rooster feathers in stock. As recently as the first week of June, ABC news reported angst vocalized by fishermen, who suddenly couldn't order a popular feather for fly-fishing. The fancy rooster tails, boasting highly-patterned colors, are ideal lures. They were suddenly on back-order due to orders placed by hair salons. The most popular rooster feathers are long and thin, very straight and come in vibrant colors and shades. In salons, higher demand for feathers translated to higher prices. "As more people have gotten into the trend, they have been getting very expensive. It was $35 in the beginning," Monterey salon hairstylist Amy Paz said. Now, "Some people have paid $500." At the Gathering of Nations powwow in April, one vendor noted that her feathered earring business was at risk - she wouldn't be able to sell her earrings at the $30-40 price range much longer. All of the hair salons were buying up the supplies, she said, and driving up the price. Higher demands also have other repercussions like ethical (or, more likely, unethical) treatment of birds. Some salons only buy from farms where the feathers are collected after they’ve been naturally molted. But the sudden surge in the popularity of the feather extension trend means that the majority of the feathers we see were probably not harvested ethically. 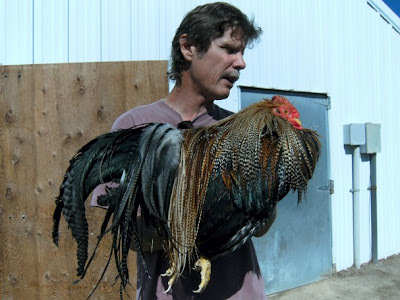 At Whiting Farms, Inc., in western Colorado, one of the world's largest producers of fly-tying feathers, the roosters live about a year while their saddle feathers - the ones on the bird's backside and the most popular for hair extensions - grow as long as possible. Then the animal is euthanized. Whiting Farms is harvesting over a thousand birds a week as it tries to meet the aggressive demands of salon owners and stylists, as well as its classic fly fishing clientele. At any rate, it seems both PETA supporters and your average fisherman can't wait for this trend to be over. Read the original articles here, here and here. Thanks for posting. I love your blog! Horrible treatment of animals for a fad that will end in 6 months.